In an automated deployment world, window clicking to install Windows features and roles is first of all boring, much too slow, highly error-prone and nineteen nineties. My team was searching for a solution that helps us to describe and create a specific state of configuration of the operating system of a virtual machine, and that automatically and unattended. Powershell Desired State Configuration makes it possible to define the wanted state in an easy to use abstract language. Powershell DSC “compiles” the configuration script at runtime on the target machine and applies the necessary actions. Actually, it’s not a compilation, more a transformation process from a domain specific meta language into real Powershell. Each step in the configuration script can be executed atomically, but dependencies are honored and can be configured. The Powershell DSC runtime deals with reboots and continues to process the script after a reboot. Powershell Desired State Configuration also allows a development team to describe easily the configuration the application need on the host system. The domain specific language Powershell DSC is providing makes it easy for developers, who are often not Powershell experts to describe the wanted state in a precise manner. From a DevOps QA point of view starting each new deploy from scratch with a reliable and deterministic state is heaven. Poweshell DSC closed the gap between a new Windows image and the installation of the software. All the prerequisites that need to be preinstalled can be described and installed using Powershell DSC. It also helps in communication with other IT operations teams, because the required state of configuration can be communicated precisely. In fact, most is said by sending the Powershell DSC script. 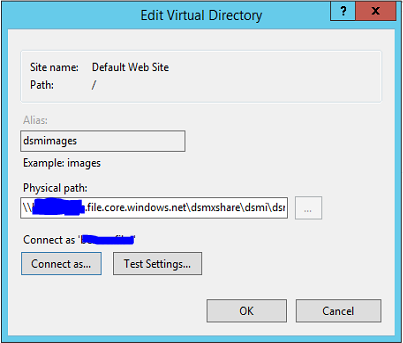 Microsoft Azure provides a VM extension that can be installed when creating the virtual machine. Through that extension Powershell DSC scripts can be executed easily. The Powershell DSC script needs to be uploaded to a Azure storage account first to make the script available for the target machine. Here a script that uploads a Powershell DSC script into the Azure storage. The $ConfigurationPath variable contains the full path to the PowerShellDSC *.ps1 script on the local machine. The next script executes the script on the target machine. First it creates a storage credentials object, then it loads the reference to the target VM and calls Set-AzureVMDscExtension to run the earlier uploaded DSC script. The extension is going to be installed if not already. Powershell DSC is onboard Windows 2012 R2 and Windows 8.1. 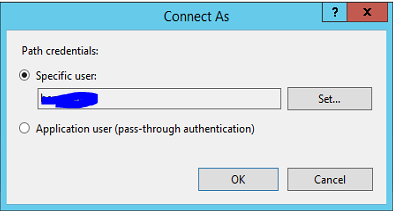 Remotely executed on Windows 2012 R2 in Azure makes fun the most.